As a woman, entrepreneur, and small business owner, I know the blood, sweat, and tears that goes into starting and running your own business. It’s hard work, but when it’s your own business, it’s the most rewarding work. 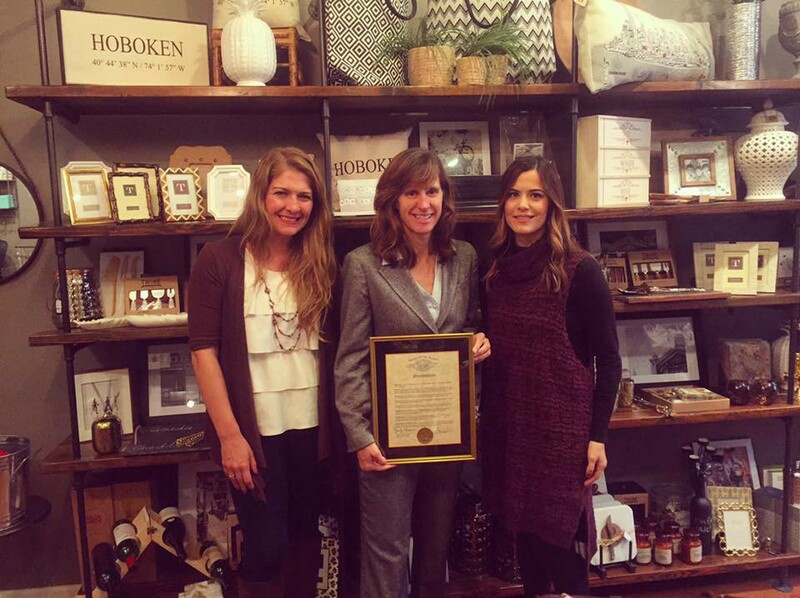 Yesterday, I was able to join forces with Hoboken Mayor Dawn Zimmer and Jennifer Tripucka of Hoboken Girl to recogize some fellow Hoboken business owners who have put in the work to create successful businesses in the Mile Square. “Mayor Dawn Zimmer and local bloggers Jennifer Tripucka of Hoboken Girl and Amanda Morrison of Don’t Sit Home (me!) honored five local business owners in recognition of National Women’s Small Business Month, which takes place in October. 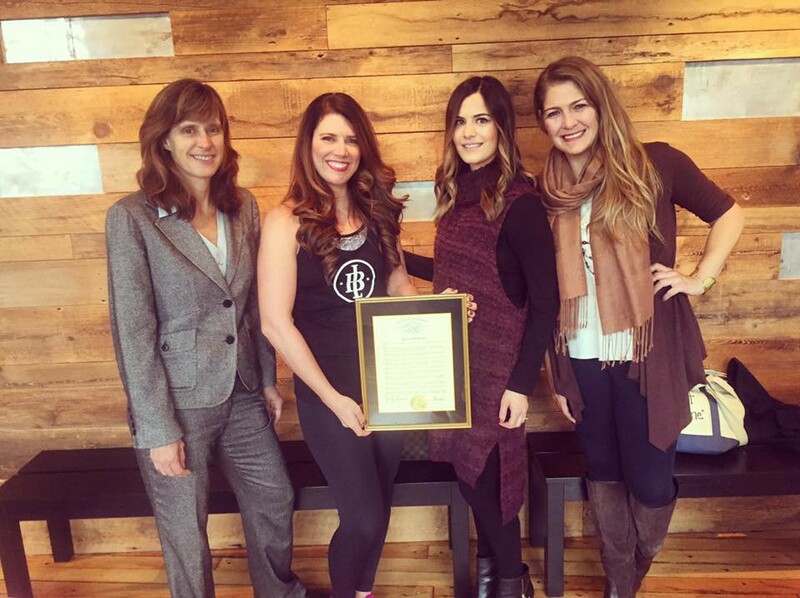 Mayor Zimmer, Tripucka and Morrison honored Jen DeMarco, CEO of Local Barre, Meghan Lavalle of Washington General Store, and Arzu, Fusun, and Gonca Esendemir of Flat Bread Grill. Jen DeMarco, a Hoboken resident and mother of three children, opened Local Barre, a fitness studio that offers a combination of yoga, ballet and pilates classes for women ages 16 and up. She originally opened her fitness studio after moving to Hoboken and searching for barre classes in preparation of her wedding. Local Barre’s fitness classes are offered to both women with and without children. Local Barre opened a third location in Hoboken at the Monroe Center and also has locations in uptown and downtown Hoboken. Meghan Lavelle is the owner of Washington General, a home and gift store specializing in unique products and home décor. Meghan, a Hoboken resident of four years and a new mother, opened Washington General out of the need for additional luxury gift shops in the City. Washington General often specializes goods based on the time of year or holiday season and includes products such as specialized bags, wine accessories, candles, chandeliers, and more. Arzu, Fusun, and Gonca Esendemir are three sisters who grew up in Hoboken and started a fast casual Mediterranean restaurant, Flatbread Grill in 2008. They opened their Hoboken location in 2015 and are currently working on expanding the concept worldwide via franchising and company-owned stores. The sisters created the menu and breads based on their parents’ recipes growing up. Their father owned one of the first Middle Eastern restaurants in Hoboken in the early 1990s. The sisters live together and work together in owning and operating Flatbread Grill. I absolutely loved partnering with Mayor Zimmer and Hoboken Girl for this fantastic project. Leaving my job as Intellectual Property Coordinator at the Associated Press a little over two years ago to pursue my Don’t Sit Home® dream was one of the hardest decisions I have ever made and I appreciate anyone who takes that leap of faith to create their own business, too. 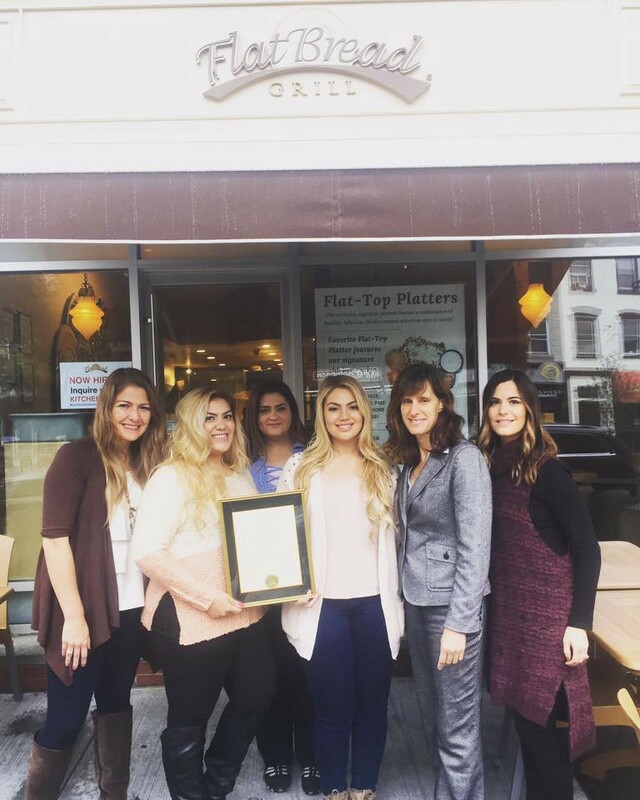 In March of 2015, I was recognized and honored with a citation from Hudson County and a Proclamation from Mayor Zimmer and the city of Hoboken for Women’s History Month, and couldn’t have been happier to take part in honoring fellow women business owners for National Women’s Small Business Month. All of the women we recognized yesterday have different stories and backgrounds and have created different businesses, but they are all rockstars at what they do, and should be proud of what they have created and accomplished. My Don’t Sit Home dream was born and made a reality in the city of Hoboken, and yesterday was a great day to honor five very deserving women who are living their dream in the Mile Square too. Contact Amanda Morrison at dontsithome@gmail.com!